As we get closer to Photokina, I start receiving more rumors about potential new products. A few days ago I got a hint about two new lenses: the 105mm f/1.4 I already reported today (announcement this week) and a new Nikkor PC-E 19mm tilt shift lens that will most likely be introduced around Photokina (September 2016). 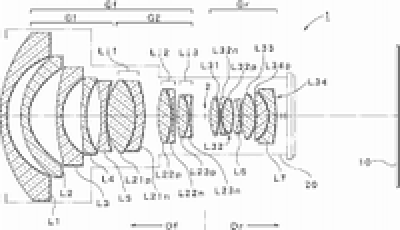 Nikon has filed at least two patents for a Nikkor PC-E 19mm f/4 tilt-shift lens. Nikon currently has three tilt shift lenses (24mm, 45mm and 85mm). The rumors so far are suggesting that a new Nikon mirrorless camera with a "larger sensor" will be announced in the next few months. New Nikkor 70-200mm f/2.8 lens. In addition, we can expect an E/FL refresh of some of the Nikkor tele lenses. This entry was posted in Nikon Lenses and tagged Nikkor 19mm tilt shift lens, PC Nikkor 19mm f/4E ED, Photokina 2016, what to expect. Bookmark the permalink. Trackbacks are closed, but you can post a comment.